Enveloped, spherical, about 120 nm in diameter. 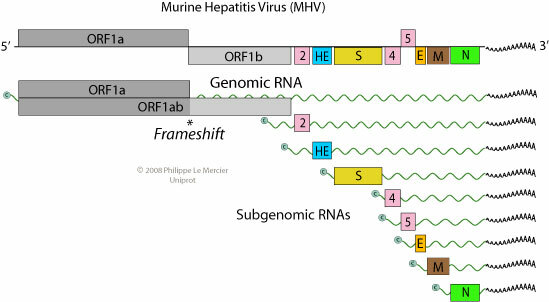 The RNA genome is associated with the N protein to form the nucleocapsid (helical for the genus coronavirus, and tubular for the genus torovirus) see Neuman BW et al. for virion cryo-electron microscopy analysis. 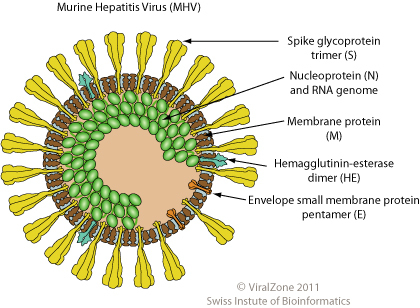 Attachment of the viral S protein (maybe also HE if present) to host receptors mediates endocytosis of the virus into the host cell.